When I was a teenager US businesses decided shopping was no longer just “shopping” but a “shopping experience.” My local mall’s parking garage had a loop of a weirdly neutral female voice chanting “please enjoy your shopping experience” to a background of smooth, recycled jazz. Maybe they believed that if they recited the spell enough times the gods of commerce would answer, and transfigure the mall into some kind of pilgrimage spot dedicated to St. Bargain of Sales. But while the West is still busy convincing people that shopping is something you need a ticket for, Japan takes a different approach to satisfying their clientele: the absolute best customer service anywhere. 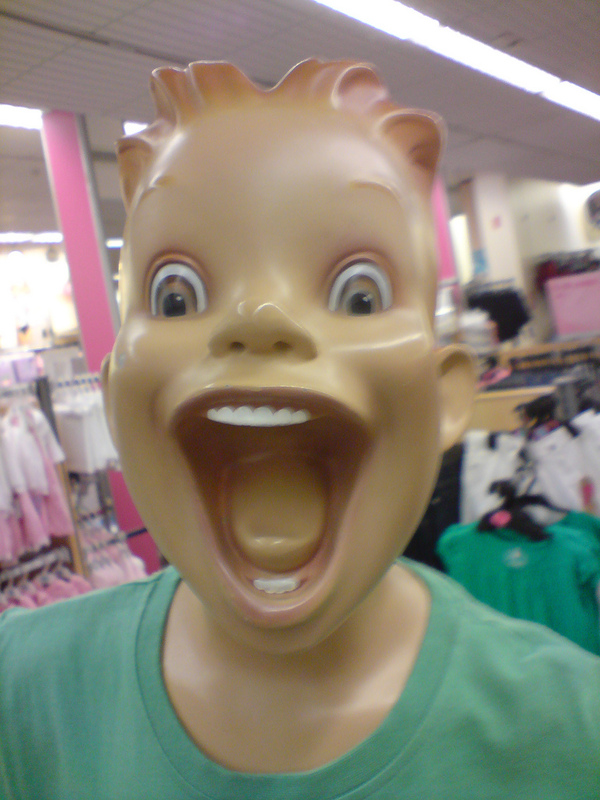 But she did agree with me about the eerily lifelike robotic mannequin that once graced the Takashimaya department store. It’s supposed to be able to show a “range of emotions,” though I didn’t see anything except the expression of a serial-killing llama who stabs you 37 times in the chest, then eats your hands. 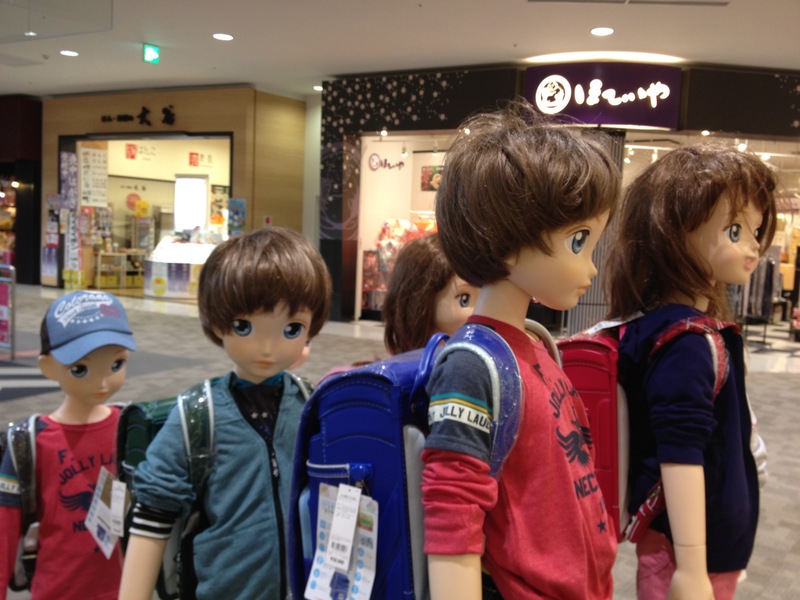 Another example of creepy Japanese mannequins are the Anzen Taro, which used to be seen on streets throughout Japan. “Anzen” means “safety” and “Taro” is a standard name like “John” in English. 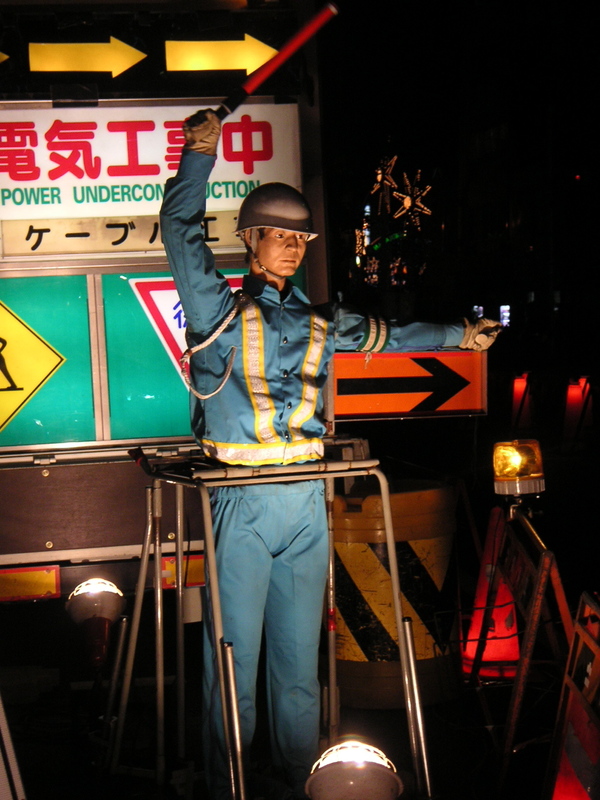 Though recently they’re being replaced by LED movies of a man waving a flag, construction crews still occasionally prop these up instead of posting a guy there to direct traffic. But, I also think that a mannequin head impaled Vlad Dracula style and covered in mold in the middle of a field is pretty creepy. 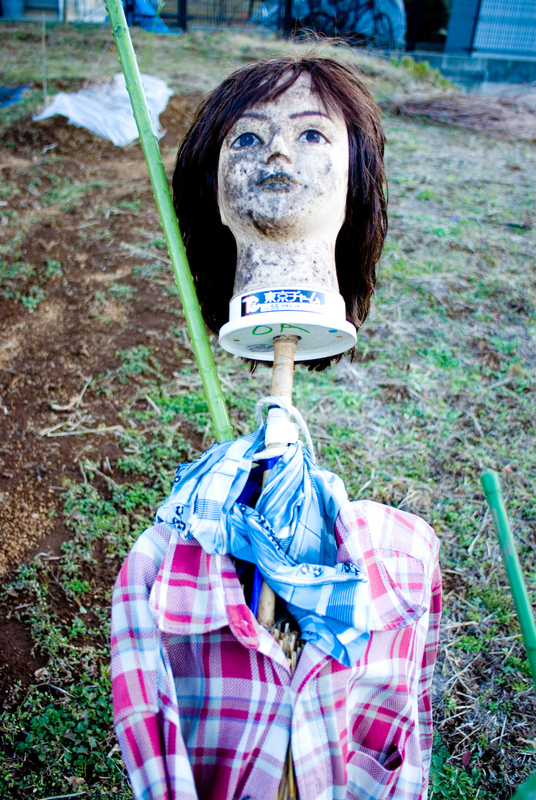 Farmers in Japan sometimes use mannequins for scarecrows. 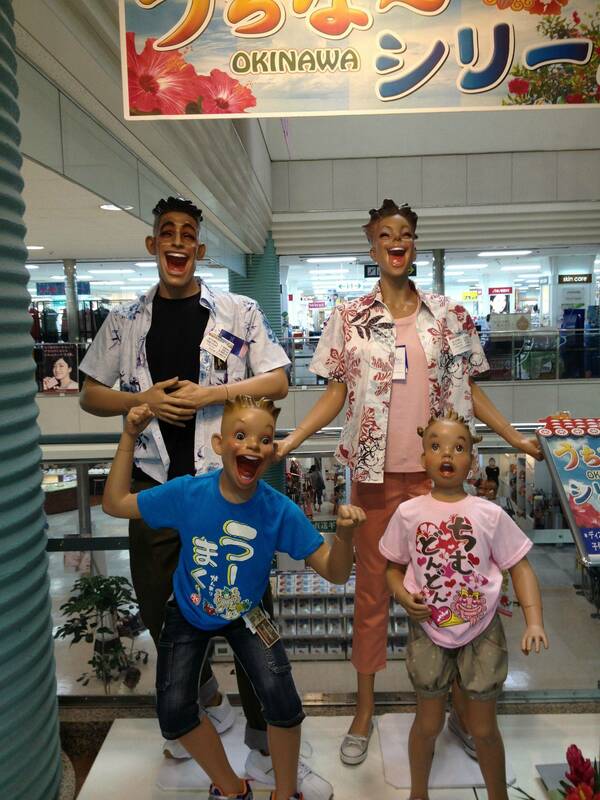 They put the heads on sticks and dress them up with old clothes. Let the elements take their toll, and in a few weeks you’ve got Satan’s finger puppet. Mannequin heads are apparently so effective at keeping birds away that a hairdresser once even propped one up in front of a garbage area after they noticed it was frightening enough to make a 4-year-old cry. No birds since.